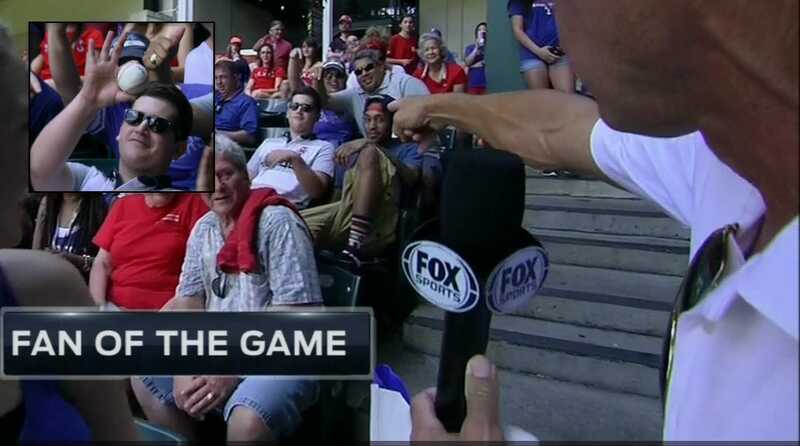 The iPhone seen above belongs to that Rangers fan and it was absolutely destroyed by a Prince Fielder home run. 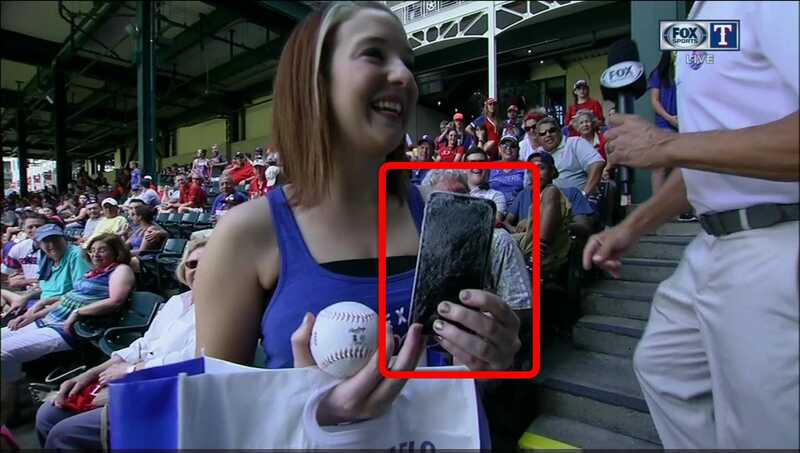 The phone may have also saved the fan from injury. According to the fan, she was looking at her phone — huge mistake! — and when she heard all the fans around her start screaming, she looked up. At that point, the ball was coming right at her and she instinctively put her hands up to protect herself. The phone was destroyed, but that is better than taking a baseball to the face. Here is the home run from Fielder, which was an absolute laser. No wonder it caused all that damage. You can see the full video at MLB.com. It wasn’t a total loss for Hope. 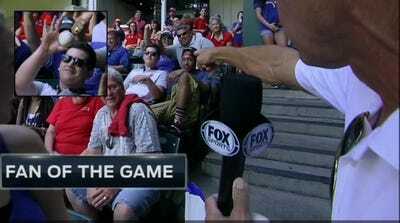 Fox Sports Southwest gave her an autographed baseball and gift bag for her troubles. It also sounded like they might work on replacing her phone. Unfortunately, she didn’t get the home run ball as that landed a few rows back and that fan wasn’t willing to give it up. Not cool!